Home - DawnHaven - Enjin - Reset Backpacks! The most active players. Resets monthly. 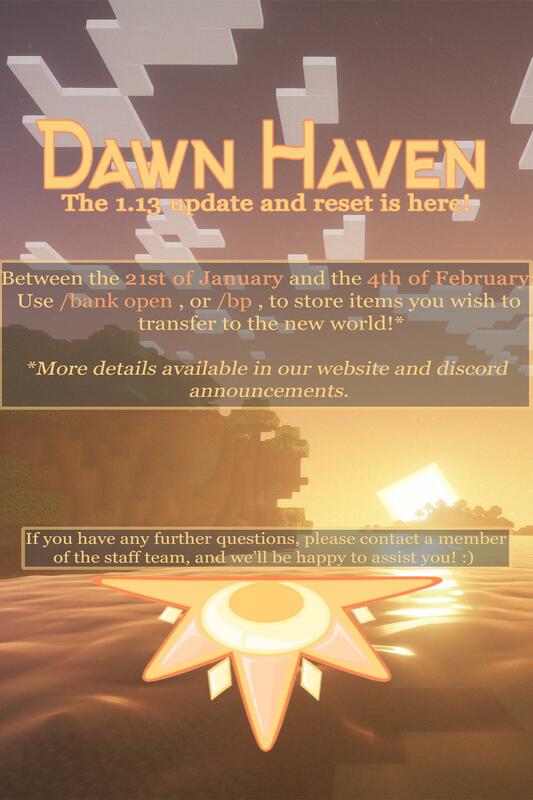 It's time to prepare for the 1.13 update and reset! See the poster below for details. Credit to GoobGuy for the poster <3!